Here’s my first bigger story for Chron that was picked up by their wire service (Pre-editing. Edited copy is Hearsts and I’ll put a link on my clips page). WASHINGTON, D.C.—President and CEO of the Greater Houston Partnership Jeff Moseley stressed the need for comprehensive immigration reform in order to improve the economy and encourage entrepreneurs to start new businesses in the United States. The House Subcommittee on Immigration, Citizenship, Refugees, Border Security and International Law Membership held a hearing this morning on the “Role of Immigration in Strengthening America’s Economy” with industry leaders including Rupert Murdoch, CEO of News Corp. and Mayor of New York City Michael Bloomberg. They pushed Congress to enact reform that would secure the border, keep foreign students and professionals who study and work in the United States, and hold businesses accountable that don’t verify the legal status of their employees. They also dispelled myths about undocumented workers, like how they commit more crimes and consume more benefits than taxes paid. Members of Congress drilled Murdoch on the role of FOX News in thwarting pro-immigration efforts and addressed the question of what to do with the existing 12 million undocumented immigrants currently residing in the U.S.
As a businessman in one of the most ethnically diverse cities in the country, Moseley discussed the vital role immigrants have had in providing necessary services in Houston. More than one million Houstonians are foreign-born, with one in 10 identifying Mexico as their country of origin. Businesses in his group oversee almost 300,000 jobs in the Houston metropolitan area. “Our board fully endorsed engaging on a comprehensive immigration reform initiative because we would agree that the system is so outdated and broken that there needs to be a wholesale reinvention and reconstruction of the law,” he said. Under the current law, many immigrants who want to study or work in the United States have to wait decades because of restrictions on the number of immigrants that can enter the country legally every year. According to Moseley’s testimony, the law only allows 5,000 low-skilled laborers and 85,000 high-skilled laborers per year. Moseley said Houston’s demand for both skilled workers—primarily engineers and medical staff—and unskilled—highway workers, energy and construction—will suffer once Baby Boomers retire and the workforce isn’t replenished. Both Bloomberg and Moseley pointed out that the birth rate in the U.S. statistically wouldn’t fill vacant job openings when Baby Boomers retire and immigrants are almost twice as likely to start businesses than Americans. “We think that a law that does not recognize market forces or labor demands is doomed from the beginning,” said Moseley. The Greater Houston Partnership created a non-profit organization called the “Americans for Immigration Reform” that sponsors immigration research and outreach to lawmakers, the public and media in support of reform. Mayor Bloomberg also recently formed a coalition of business giants and mayors to push for immigration reform in Congress. This “Partnership on New American Economy” includes leaders from Disney, Hewlett-Packard, Marriott International, Boeing and San Antonio mayor Julian Castro. “The economics couldn’t be any clearer. Immigrants pay more taxes than they receive in benefits. We educate them here and tell them to take those jobs and start them in other countries. We need to create a path to citizenship for illegal immigrants,” he stressed. Congressman Ted Poe (R-TX) questioned the panel on differentiating “illegal” and “legal” immigrants and pointed out that mothers with illegal status delivered more than 67 percent of the births in the Lyndon B. Johnson General Hospital this year. “If you don’t believe we have a border security problem, I’ll take you to the Texas/Mexico border and you can watch for yourself,” he said. Earlier this week, the White House Director of Domestic Policy Melody Barnes addressed a conference sponsored by the Hamilton Project and the Brookings Institution on what the Obama Administration aims to do about immigration reform. She said they were “disappointed” that the DREAM act was shot down and hoped Congress could find consensus to pass legislation in the near future. I got a message first thing this morning from a friend who told me my list of D.C. foreign policy events this week was on the home page of the long-awited TBD.com, which has taken the place of WJLA.com and will serve as D.C.’s newest go-to site for all things local. I am lucky enough to be a part of the scores of bloggers on their community network, who will provide in depth coverage of everything from politics to food to the woes of public transportation. What am I doing on the site, you may ask? I came to D.C. for two reasons: to get my masters from A.U. in journalism and live in the center for international activity. I knew by being in a city with such diversity, culture and intellect, I would be able to pursue a career as a foreign policy and international journalist. I came from a small college in Indiana and was probably the only Iranian at the entire school (other than my twin sister). Now that I’ve been here for a year, I have met people from every corner of the world, seen major international policies being made (in person) and met some of the brightest officials and experts from around the world. D.C. is very unique in its presence of prominent foreign leaders, major international events and obviously the State Department. The only problem was, I had a difficult time figuring out the D.C. foreign police machine. Laura Rozen’s blog, Steve Clemons’ The Washington Note and Josh Rogin’s reporting were extremely helpful, but I couldn’t help but want more. I decided to start a blog based on my daily activity working as a news/communications fellow Radio Free Europe in Washington. I would make it my goal to go to as many foreign policy press conferences, think tanks, human rights groups and cultural events as I could. But I also want to expand that role by going to a number of embassy activities, performances and political rallies to get a feel for what it means to live in the center of international activity. There’s a wide net of ethnic groups and interests in D.C., so I know as one person I can’t possibly embody them all. But I try to focus on key think tanks, events on the Hill, visits from foreign officials and countries we are deeply involved with at this time (i.e. Pakistan, Afghanistan, Iran, China). 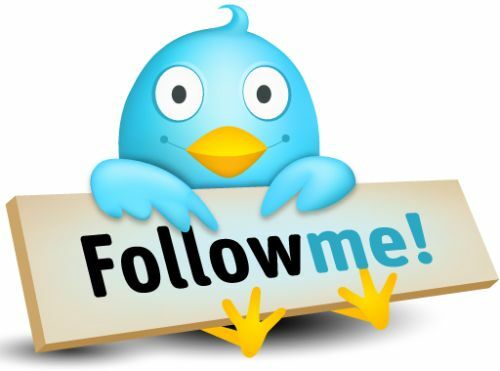 I also provide a comprehensive list of blogs, resources and news sites of interest to international news junkies and foreign visitors who need to get around D.C.
Email me with suggestions or events you want covered at ladansusan@gmail.com or Tweet me. 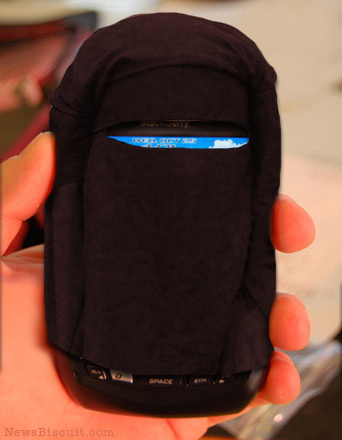 According to prelim reports from “News Biscuit,” the UAE will require people with Blackberries to dress their phones in mini Burqas and face veils so they can ONLY use them to talk but not access Internet or email. The burqas will also draw less attention to Blackberry users and protect them from possible harassment. Reports show that the Blackberry has been banned for use in the UAE because the government cannot monitor its activity. This ban will affect travelers and businessmen coming through the country as well. Still waiting to see other reports on the issue, but whether they wear burqas or not, the Blackberry is under attack in the UAE and Saudi Arabia.